But with hundreds of support members to choose from, which ones reign supreme? Here are ten more (view the original list here) cards you should buy for any Dark Magician build! Other than Dark Magician himself, of course; remember to include him in his own support deck, ya dingus. Starting things off is Magician's Robe, a level 2 monster who can be normal summoned or set without tributes. Its weak 700 ATK is offset by a respectable 2000 DEF, and it offers two sweet benefits during your opponent's turn. 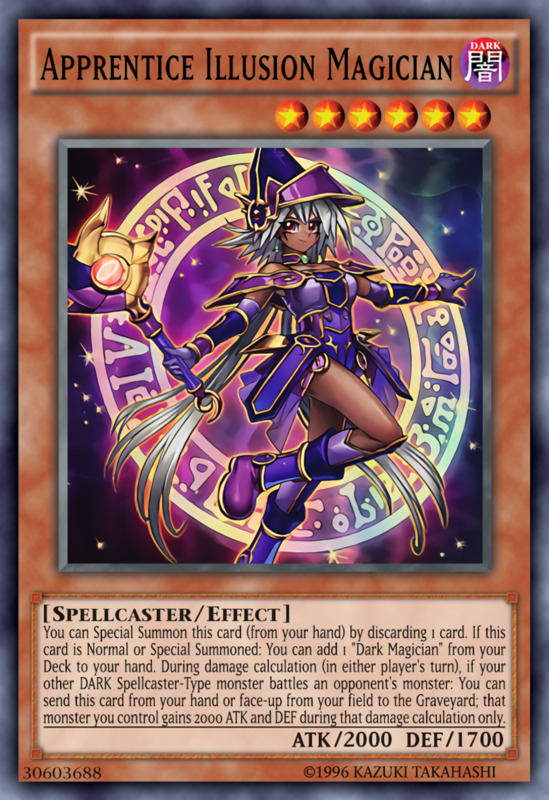 During any of their phases, you can discard a spell/trap to summon Dark Magician from your deck. This not only searches and fields a powerful monster for free, it helps you meet the activation conditions of Dark Magician-dependent cards (more on those later). Additionally, if you activate a spell, trap, or effect at any point during your opponent's turn, you can special summon Magician's Robe from the graveyard, but you have to banish it when it leaves the field. This means Robe includes a free revival, letting you rejuvenate it once to either summon Dark Magician again or simply take a hit for you. 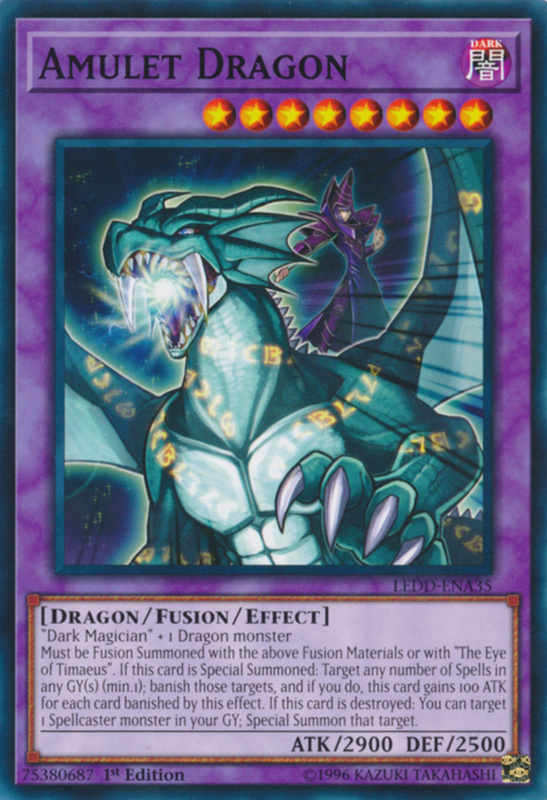 As awesome as fusion monsters are, fusions tend to be rather card-expensive, typically draining your hand of at least two material monsters and one fusion spell. Luckily, The Eye of Timaeus helps circumvent this issue by only needing a fielded Dark Magician you control as material. Activating Timaeus essentially uses Dark Magician as two resources, the only trade-off being your fusion monster has to specifically list Dark Magician as material. Fortunately, this accesses several potent units such as Amulet Dragon, Dark Paladin, and Dark Magician the Dragon Knight. You can only activate one Timaeus per turn, but that's a minuscule restriction for an overbearing spell that lets one monster serve as two. 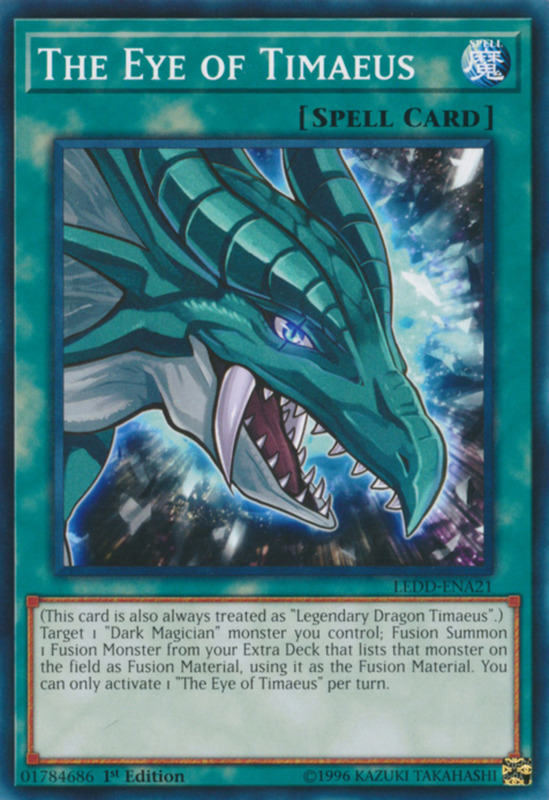 A level 7 normal monster just like Dark Magician, Dragonpit will normally require you to tribute two monsters for its summon, but you shouldn't need to—as a pendulum monster with a rare scale of 8, Dragonpit (when combined with a lower scale) can help you pendulum summon monsters up to level 7! 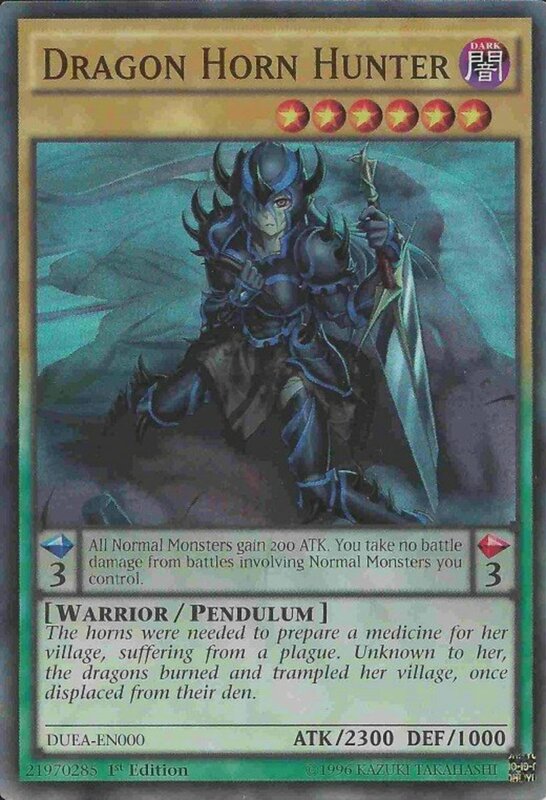 This saves you your normal summon for the turn and accesses your best cards (like Dark Magician or other Dragonpits) without needing sacrifices. 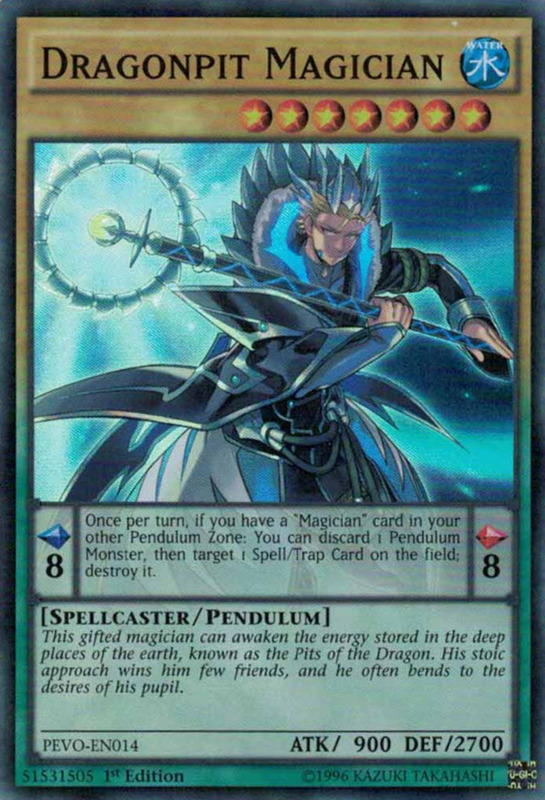 Additionally, if you have another Magician pendulum monster in your other pendulum zone, Dragonpit lets you discard a card to destroy a spell or trap, and its 2700 DEF add a potent blend of defense into your build. 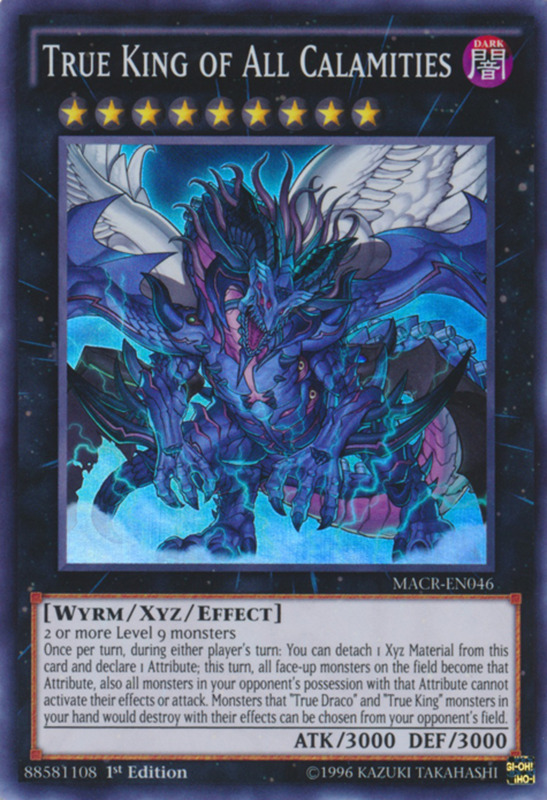 Finally, consider that it makes great xyz material for rank 7 xyz monsters (especially last countdown's Ebon Illusion Magician). 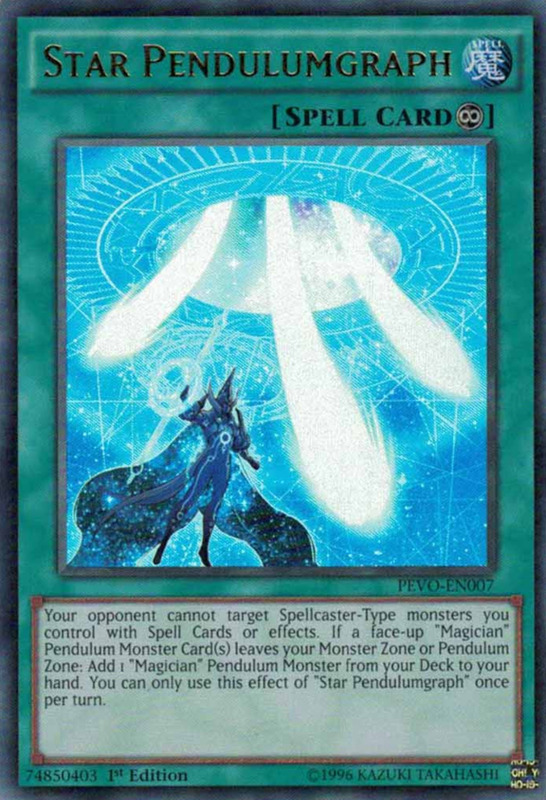 Admittedly, Star Pendulumgraph is designed more for pendulum-spellcaster builds, but combining Dark Magician with pendulum summons forms a potent blend and grants access to a wider pool of cards. 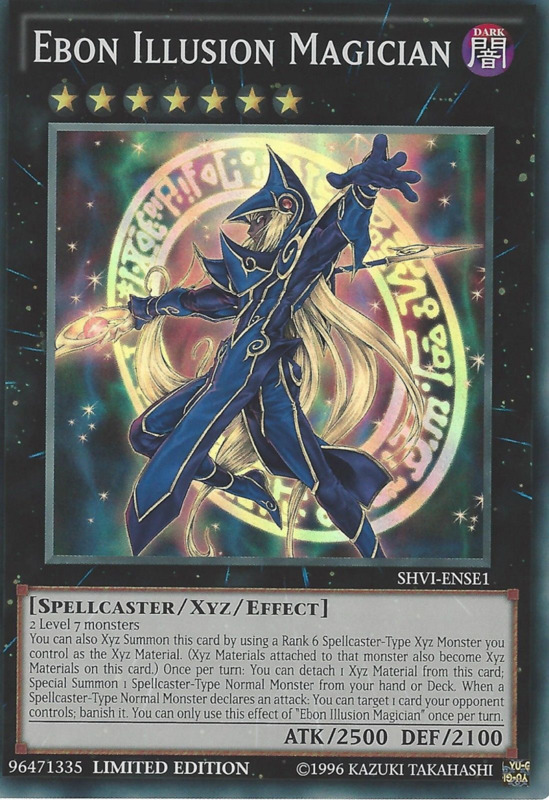 You definitely want this continuous spell in your Magician build—it completely prevents your opponent from targeting your spellcaster-type monsters with cards or effects! As if that awesome barrier weren't justification enough, Stare also lets you (once per turn) add a pendulum Magician monster to hand when a face-up pendulum Magician leaves your field. This awesome shield and potent draw engine lends weight to a pendulum/Dark Magician deck list. With an extra summon method, free card search, and huge boost to a fellow monster's stats in battle, Apprentice Illusion easily dazzles duelists with her varied bonuses. All three traits are nice boons that support your theme, especially the complete immunity to opposing cards for your dark wizards granted by the third ability. As two final benefits, remember that Dark Magic Expanded activates at quick-play speed, letting you cast it on any phase or turn, and note it even includes your opponent's sorcerers into its calculations. This pendulum effect monster lends even more weight to a pendulum-Dark Magician blend with several great qualities. First, as a level 4, she's easy to normal summon and wields a decent 1600 ATK. 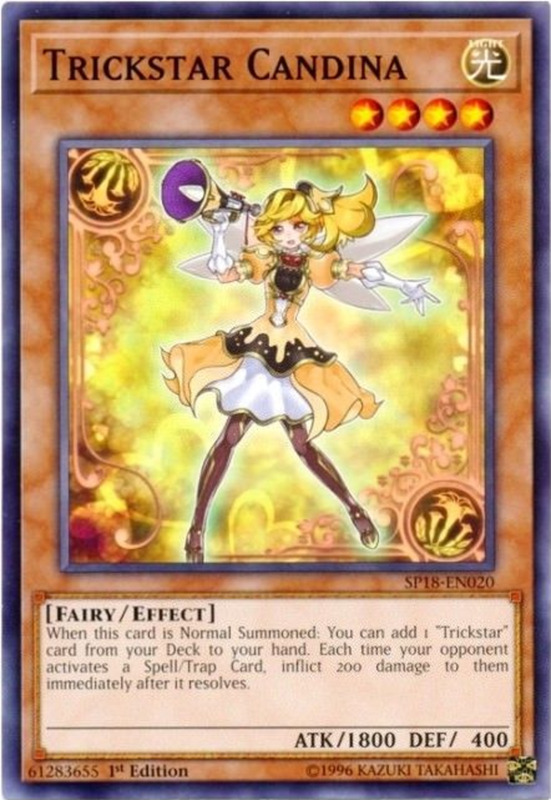 Second, White Wing bears the desirably-low pendulum scale of 1, granting access to many special summons when combined with a high-scale card (combo her with Dragonpit). Third, she counts as a tuner, letting you use her alongside nontuner monsters to synchro summon white-backgrounded synchro monsters from your extra deck. These are some awesome traits, but note that when White Wing is used as a tuner, she's banished from the game. Also bear in mind the newer extra deck limitation rules; use link monsters to ensure you have sufficient space to summon multiple extra deck beasts. 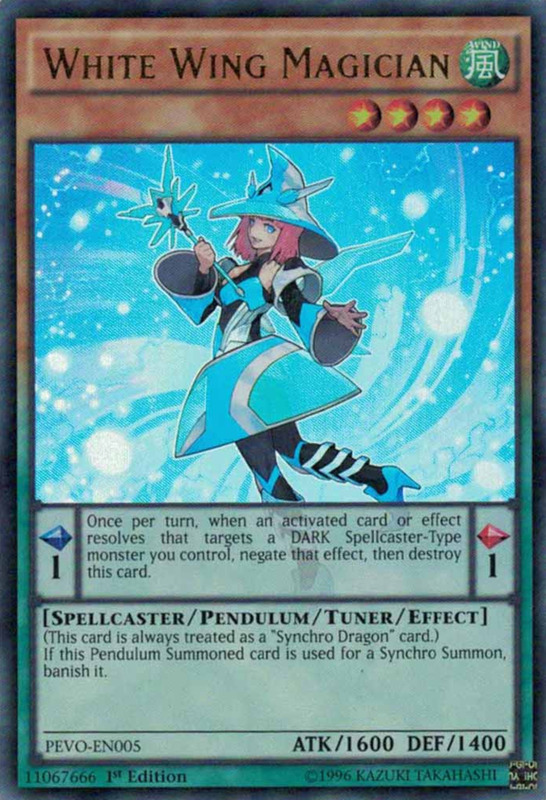 Still, since White Wing bears "Magician" in her name, she enjoys support from the abundant Magician-support archetype and is one of few tuners designed to synchronize with Dark Magician. 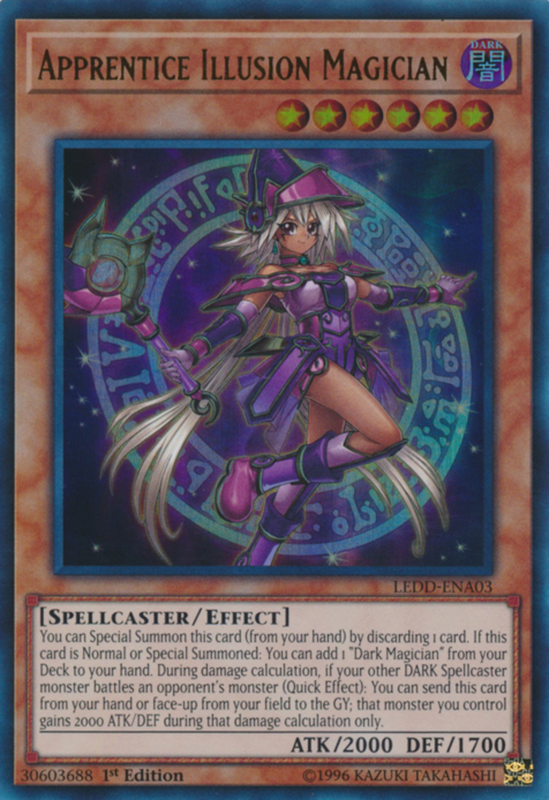 Just as Dark Magician spawned his own archetype, so did his famous counterpart Dark Magician Girl. Luckily, her follow-ups prove to be some of the best spellcasters in the game. 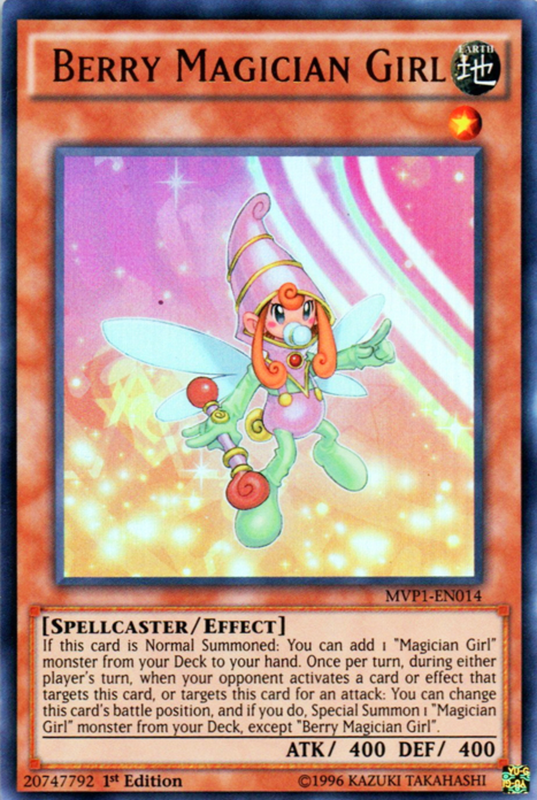 Although her 400 ATK and DEF won't be winning many fights, Berry Magician Girl lets you add any "Magician Girl" card from your deck to your hand when summoned. This could be last countdown's Chocolate Magician Girl, Dark Magician Girl, or any other of Berry's sisters. 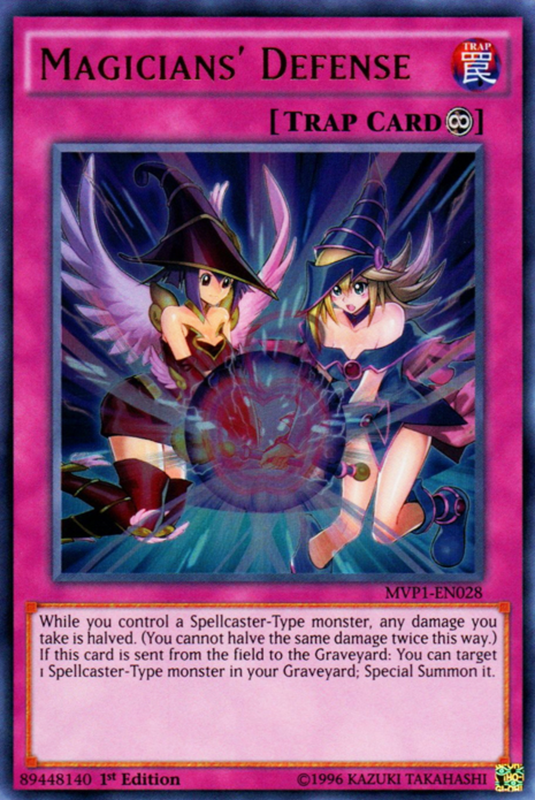 Additionally, when targeted for an attack or by an effect on either player's turn, you can change Berry Magician Girl's battle position and special summon any Magician Girl from your deck except another Berry. What else can I say? A free search on summon and a free search-summon upon being targeted help Berry stand among the game's numerous spellcasters. 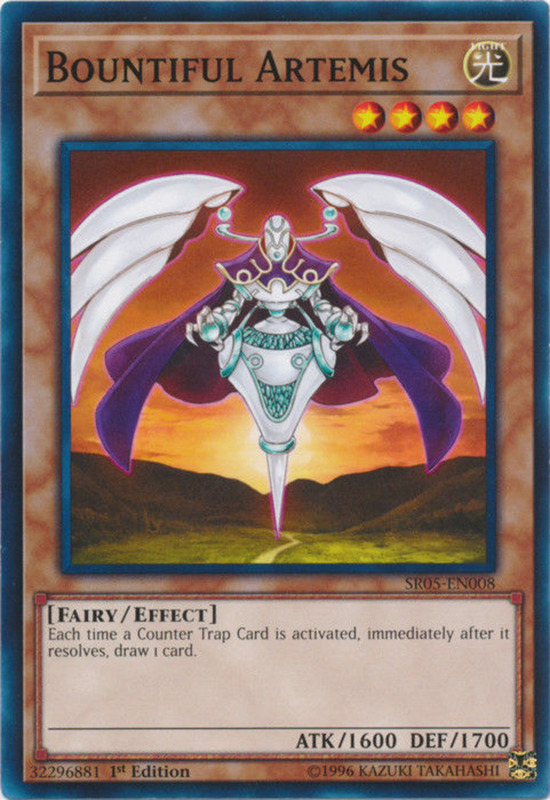 The aptly-named Magicians' Defense trap offers two great effects, plus you can activate this continuous trap at any time. It simply halves any damage you take as long as you control a spellcaster monster! This includes both battle and effect damage, helping barricade you against both common beatdown opponents as well as the occasional burn deck. Additionally, even if your opponent manages to destroy Magicians' Defense, it special summons a spellcaster from your graveyard when sent there from your field, serving you well even in death. 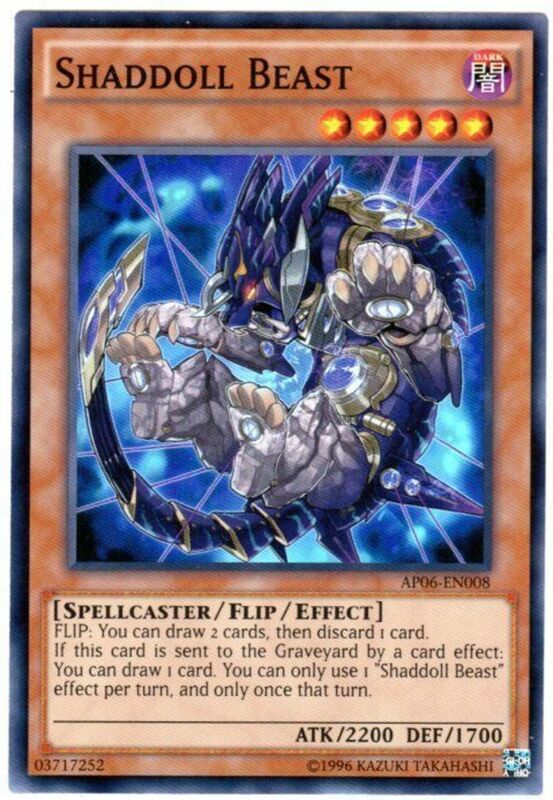 This even triggers if you're the one who destroyed it (perhaps to activate a monster like Scrap Dragon's effect), adding a powerful last breath to an already-stellar card. Just note that you can only halve damage once with its first effect (using multiple copies at once is pointless). Today's simplest entry is also its best: Dark Magic Attack entirely annihilates your opponent's spells/traps, with the only condition being you control Dark Magician. 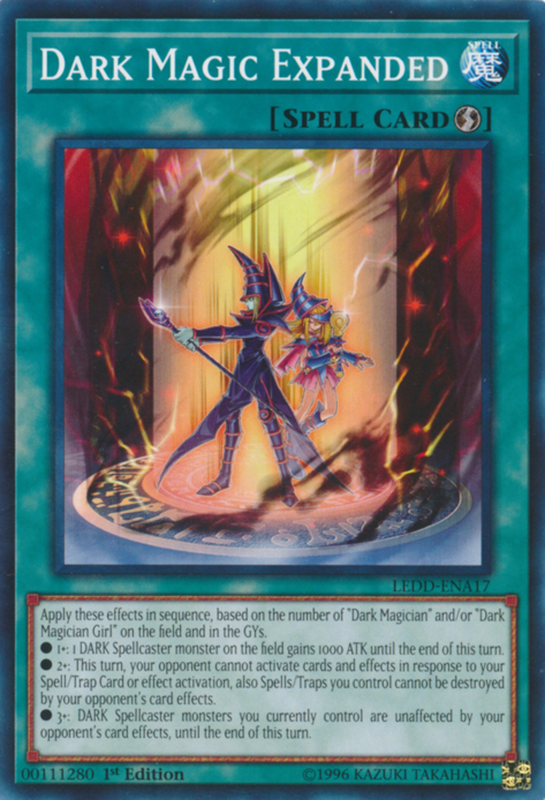 You're basically accessing the long-banned "Harpie's Feather Duster", the only catch being Dark Magician's presence. 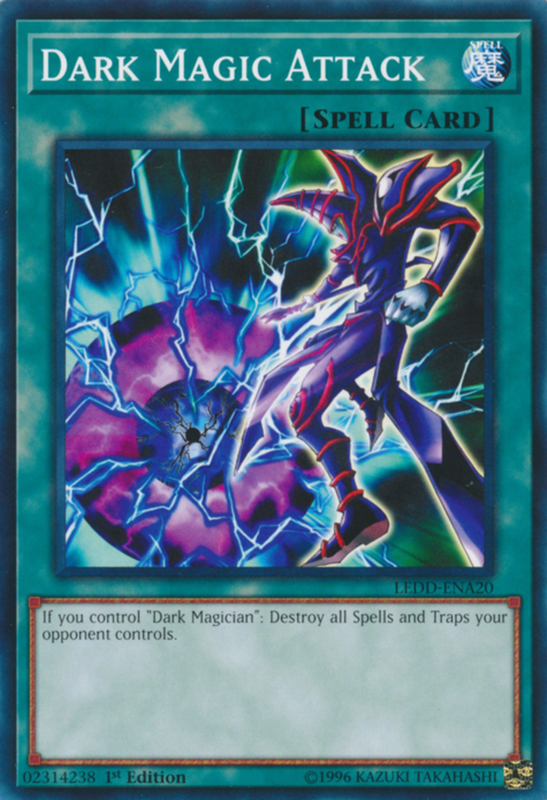 Fortunately, remember that several cards (like last countdown's "Magician of Dark Illusion") alter their name to Dark Magician when fielded, making it even easier to achieve Dark Magic Attack's criteria. 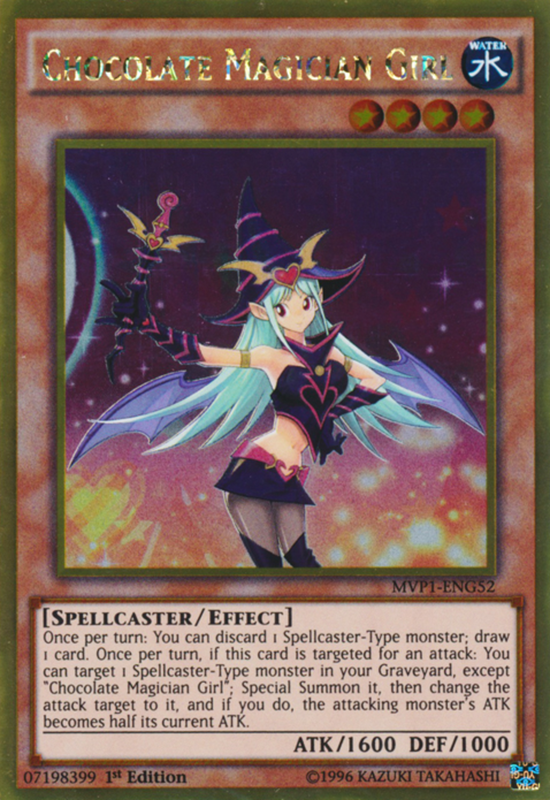 Despite its power, Dark Magic Attack is one of today's cheapest cards, and you can obtain yours for less than a dollar! Dark Magician cards have withstood the test of time, and since most don't heavily rely on the extra deck, they've transitioned well through the link summoning era. Always keep your eyes peeled for potent Dark Magician benefactors (including more-general spellcaster supports), but with these ten entries in your deck, you're already well on the way to winning your duels. But for now, as we eagerly await more Dark Magician expansion sets, vote for your favorite entry and I'll see you at our next Yu-Gi-Oh countdown! Could I use some Elemental Heroes with the Dark Magician theme in my Yu-Gi-Oh deck? Sure; I'd be curious to see which ones you're specifically wanting, but warriors and spellcasters share several supports, so I'm confident you could make it work. 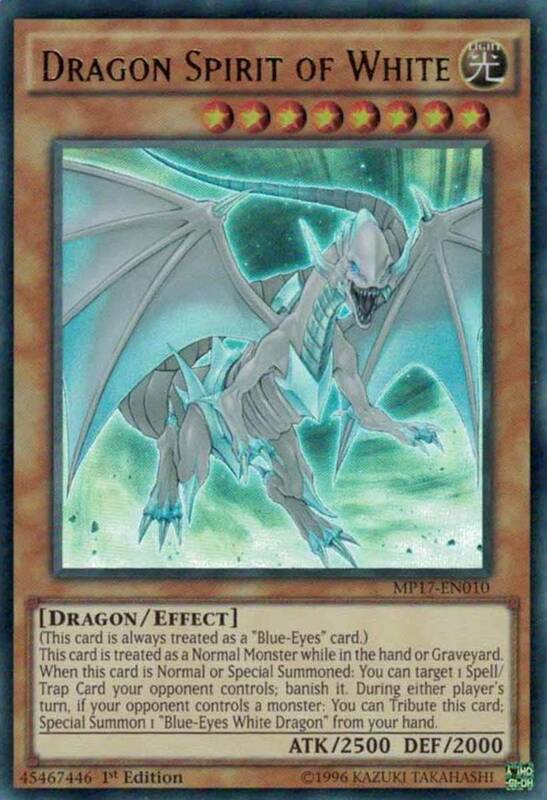 Could a "Blue Dragon Summoner" be in a Dark Magician Yu-Gi-Oh deck? Definitely! Blue Dragon Summoner's ability lets you add any normal dragon, spellcaster, or warrior to your hand when sent from the field to the graveyard. 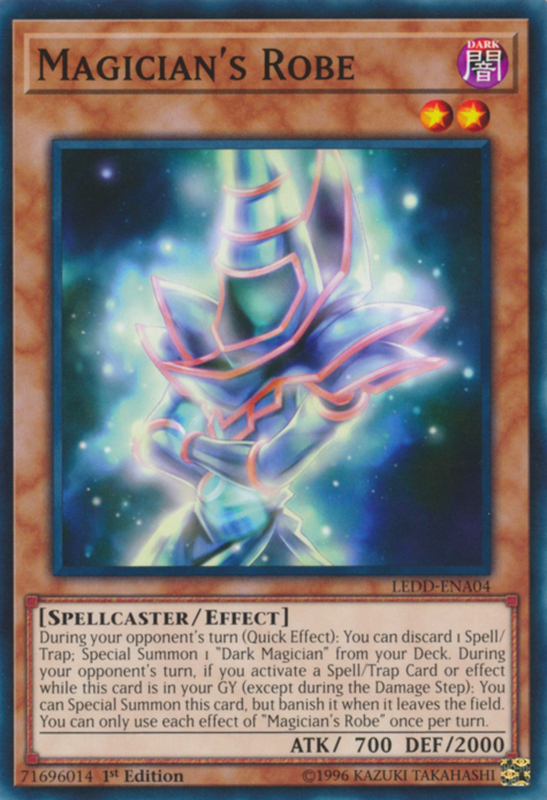 Its misleading name could make you think it's only for the Blue-Eyes archetype, but it works just as well with Dark Magician.